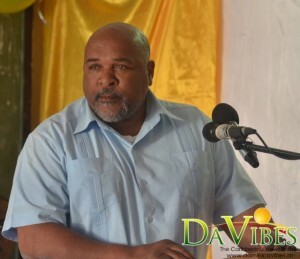 Agriculture Minister, Reginald Austrie wants more credit to be given to farmers and vendors as he believes that their contribution is continuously downplayed. Mr. Austrie, who made that statement while addressing a symposium held in Vielle Case on Sunday 5 August 2018, said more credit ought to be given to farmers, especially the females as well as the vendors. “We have not been capturing properly the contribution that agriculture is making to the economy. We have been shortchanging our farmers because our famers work much harder than we are saying they working,” Austrie stated. “Women have been making a tremendous contribution and I don’t think that they capture the contribution of women in agriculture,” he noted. Minister Austrie also noted that a better distinction needs to be with regard to the classification of farmers; commercial, small and subsistent to ensure that all are treated with equity. This is necessary, he said, because they are all very different; “commercial farmers produce for the commercial market and export, small farmers produce for the community and the local market and the subsistent farmers produce for their households and their neighborhoods”. “But all of them are important and all of them have to be treated, not equally, but with equity, in that whatever their activity is, you have to be able to receive something from it,” Austrie further added.